If you want to learn from scientists tackling some of the world’s most important challenges – such as conservation, cancer and dementia – this Foundation Year is perfect for you. 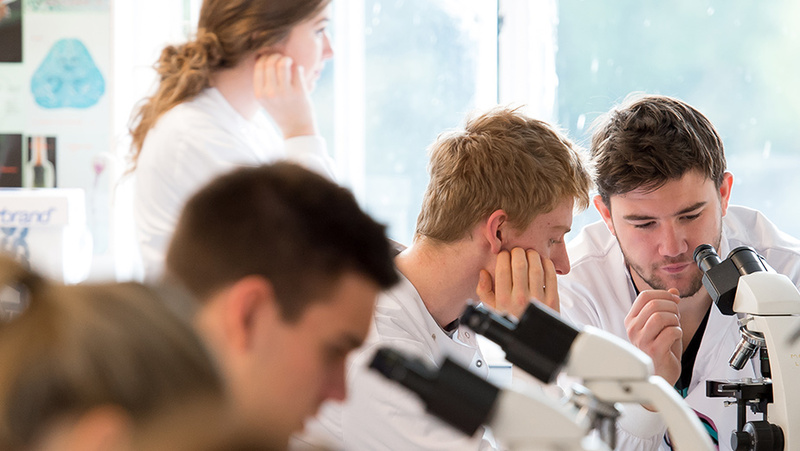 The flexibility of the Foundation Year allows you to progress onto a range of our exciting degrees in the School of Life Sciences. To prepare you for whichever course you pick, you learn both practical and academic skills in biology, chemistry and mathematics, giving you the perfect grounding for your studies. A-levels should normally include at least one from Biology, Chemistry or Physics. You will also need GCSE (or equivalent) English, Mathematics and two Science subjects with grade B in each (or grade 5). Successful applicants need evidence of the potential to do well on a demanding science degree. Successful application for the foundation year will be evidence of academic ability in a demanding science degree. A-level should normally be at least one from Biology, Chemistry or Physics. You will also need GCSE (or equivalent) English, Mathematics and two Science subjects with grade B in each (or grade 5 in the new grading scale). The BTEC Level 3 National Extended Diploma should be in Applied Sciences. Your application must include evidence of your potential to do well in a demanding science degree. Scottish Highers must include either Biology, Chemistry or Physics. You will also need Scottish National 5 in English, Mathematics and two Science subjects with grade B in each. You must supply evidence of your potential to do well in a demanding science degree. A-levels should include at least one from Biology, Chemistry or Physics. Evidence of your potential to do well in a demanding science degree. Irish Leaving Certificate (Higher Level) with at least H3 H3 H3 H4 H4. Irish Leaving Certificate (Higher Level) should include either Biology, Chemistry or Physics at H2. You will also have O3 in English, Mathematics and two Science subjects. Pass Matura with least 3 Extended level subjects in the 65th percentile including at least one from Biology, Chemistry or Physics. Fullstandigt Slutbetyg/Högskoleförberedande Examen with a total of 2,500 credits to include C grades in the majority of subjects and to include grade C in either Biology, Chemistry or Physics. You take introductory modules in biology and chemistry along with mathematics and study skills, including IT. Practical work is an important element of the Foundation Year. If you’re an international student, note that fees for the foundation year are at the standard lower rate but fees for courses you can choose to continue your studies are at the standard higher rate. This means your fees will rise from lower to higher level after the foundation year.